When is the best time for laser treatments by Dr. Philip Young Bellevue? When is the best time for laser treatments by Dr. Philip Young Bellevue? Getting your laser treatments such as; IPL and Laser Hair Removal are great to get done in the winter months. Why? That is when you are less likely to get sun exposure and you generally tend to be on the paler side. This will allow the laser to pick up the pigment better on sun spots or the hair follicle, giving you the best results possible. During the summer months you want to protect and maintain your results with antioxidants, a good broad spectrum sunscreen and let’s not forget…enjoy your new beautiful skin! Posted in Diary of a Facial Plastic Surgery Aesthetician, Laser Hair Removal | Comments Off on When is the best time for laser treatments by Dr. Philip Young Bellevue? Can hair removal work on someone who is on levothyroxine for hypothyroidism? Yes laser hair removal can work on someone with this issue and condition. The question is whether you thyroid state is affecting your hair at all. If you are well controlled the likelihood that your hair is not growing well is low. Some patients with hypothyroidism have loss of hair and this could mean that some of the hair that you would like to remove may not have enough activity and pigmentation to be targeted by the laser. But for the most part, if there are hairs that are showing and are not desired laser hair removal can reduce the amount of unwanted hair. Posted in Laser Hair Removal | Comments Off on Can hair removal work on someone who is on levothyroxine for hypothyroidism? There are a number of factors that determine how muchLaser Hair Removal costs. The size of the area is important. The larger the size, the more time it will take, and hence the more costly for you. The ranges are large for pricing based on my research. For the face, it can range between $145 – $800 per treatment. For the legs, it ranges from $200 – $1000 per treatment. When you buy a package you usually receive a discount between 10-20%. One thing to realize is not all lasers and intense pulse light systems are the same. You definitely want to go to a place that has the best. Otherwise you will be spending more than just your money but also your precious time if it doesn’t work very well for you and you have to go in more than anticipated. It typically takes 5-6 treatments to reduce your hair to an amount that you desire or can tolerate. Also light hairs are exceedingly difficult to remove. Consulting a Board Certified Facial Plastic Surgeon would be something that I would recommend. We specialize in the face and are highly qualified to help you with this. Posted in Laser Hair Removal | Comments Off on How much does laser hair removal cost? laser hair reduction and wearing jewelry during treatment, is it safe? It is very likely that the jewelry can serve as a reflective device and cause the laser light to reflect off the jewelry and into someone’s eyes, etc. Even with protective devices, this reflection is not safe to have as the protection only serves to partially protect someones eyes. Also, the reflection could cause damage to areas on the body that the laser is reflected on to. So absolutely, you should have the body jewelry removed prior toLaser Hair Removal. Posted in Laser Hair Removal | Comments Off on laser hair reduction and wearing jewelry during treatment, is it safe? I would tell your physician to be conservative in the settings and proceed with caution. You want to go to a doctor that will take care of you and sometimes that is hard to figure out. There are ways to start the settings in a conservative way so that you have much less chance of complications. Then you can proceed to increase the settings slowly to get the results you want. Also, there are systems out there that are safer than others. Having some way to cool the superficial layers of the skin is important to protect these layers while treating the deeper layers. 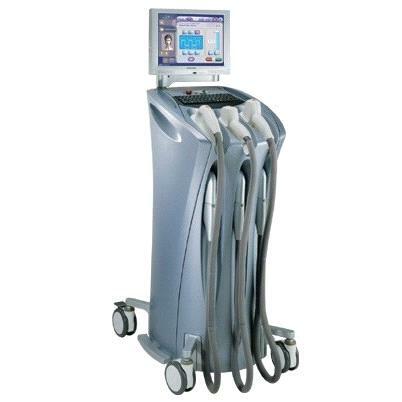 Lumenis has a great IPL for Laser Hair Removaland other lasers should have a cooling mechanism that works effectively. You may need some antibiotics or anti inflammatories like topical steroids to help the condition. After Laser Hair Removal your skin’s defenses are down and you are more likely to have infections and develop contact dermatitis from anything that you use. For the first 2 weeks after your procedure you should be using a gentle cleanser and do vinegar washes 3-5 times a day. Vaseline or aquaphor should be applied at all times. After your skin heals over, you can start using a gentle moisturizer and sunscreen. But you should always test you skin first to see if you get any reactions. If you do you should wait a couple of days to restart the moisturizer and sunscreen. After 3-4 weeks you should then be started on Retin A and hydroquinone. Here at our office we use the Lumenis One which is the best Intense Pulse Light system in my opinion. It can be used for hair removal along with other lasers such as nd Yag, diode, and alexandrite lasers.